It’s time for another edition of Fan Art Friday, our weekly feature that shines the spotlight on some of the best Ahsoka Tano fan art found on the web. As always, we recommend that you visit the artists’ websites and social media pages to see more of their amazing work. This week’s featured artists are Ksenia Z, Albert Nguyen, and Jasmine Batista. 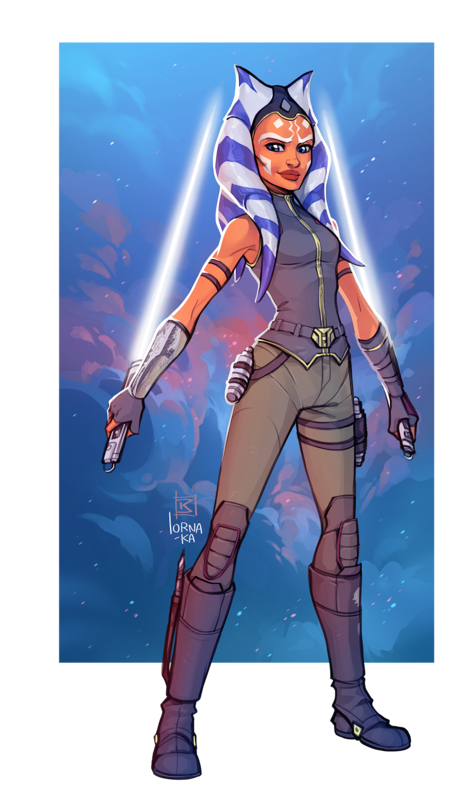 This amazing commissioned artwork by Ksenia Z (who also goes by the name lorna_ka on social media) was based on Ahsoka’s smuggler outfit from an unfinished Clone Wars story arc. You can buy a print of this over on Ksenia’s Society6 store and if you’d like to see more of her work, you can find her on Twitter, DeviantArt, and ArtStation. What’s better than one rebel? How about two? 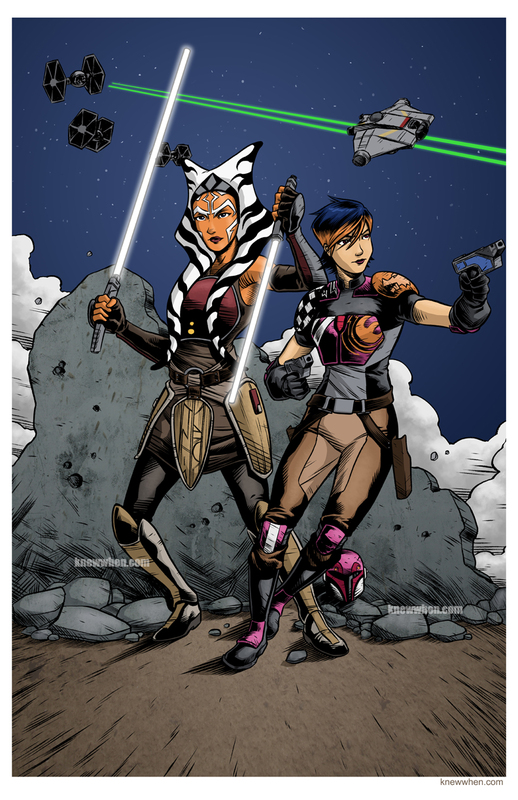 Albert Nguyen’s piece depicting Ahsoka Tano teaming up with Sabine Wren really makes me wish we’d seen the two interact more on screen. More of Albert’s work can be found over on his website or over on Twitter, DeviantArt, and Facebook. And, last but not least, here is Jasmine Batista’s poignant tribute to fallen clone troopers, “Freedom Lies in Being Bold”. Visit Jasmine’s website or follow her on Twitter to see more of her artwork. 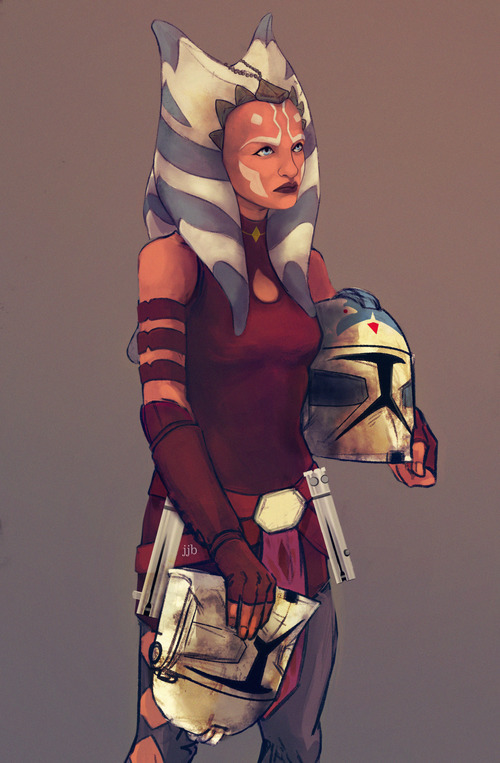 Looking for more Ahsoka Tano fan art? Then click on Fan Art Friday for a full archive of featured art works!